Today, many of us woke up to hear of the passing of Mr Lee Kuan Yew. Our first Prime Minister, the man whom we were in awe of, and at times in fear of, the man who transformed this little Red Dot and placed it on the world map. Cliches maybe, but undeniable that we cannot be what we are today without the man’s vision and leadership. While in primary school, the year Mr Goh Chok Tong became our second prime minister, our English teacher had asked us to guess how many prime ministers Singapore had had. I guessed a hundred. Only when she said this is our second prime minister that I realised how young a nation we were, and how everything was not always the way it was. Over the years, this episode would resurface in my mind many times, as I encounter people who take all these we enjoy for granted, when only two generations ago, life was not so cushy. The most recent time I appreciated our achievements was when my sister told me her helper was my age. All the “what ifs” flooded my mind. What if I wasn’t born in Singapore? What sort of life would I be leading? What if we had gone through with the Merger? What would we be today? I counted my lucky stars each time I encountered those who had less than me simply because they were born in a different place. The Singapore we live in today is a safe haven for children, women, and people from all walks of life and all skin colour to live and to dream, and to realise their dreams. Perhaps as Singaporeans we have taken all these we enjoy for granted and as time passes by, and the memories of post-war rebuilding and the struggle for independence fade with each generation’s passing. People start to see what they enjoy as a given, and an entitlement. Singaporeans know him, yet know not enough of him. Most are not familiar with Mr Lee’s insightfulness and strategies, the diplomat that he was, the amount of respect he garnered all over the world whenever he spoke. The sort of podium power he had on the international fora, the sort of footprints he left which paved the way for us. The world knew us because he walked ahead. That the world mourns with us today is testament to the impact he has left. He inspired a generation of Singaporeans to stand on their own feet, strive for a future with their own two hands. As a nation, we did not need sympathy or handouts. As Singaporeans, our parents and grandparents took the same stance, valuing hard work, frowning on laziness and self-pity.In a region where things were complicated, we were clean. You didn’t need to provide coffee money to do anything here. In a region where minorities were side-stepped, the ideas of Mr Lee and the Old Guards allowed all Singaporeans to dream, and know that we can live that dream, and there is good chance of realising that dream. We speak to our grandparents and they speak of Mr Lee with much gratitude. Speak to the younger generation, and sadly, there are some among them quick to pick on the policies of his time (sometimes without full understanding and knowledge). As Gen Y, I appreciate this place we call home. Even on bad days when dreams become hazy,things get trying, when the future looks bleak, I appreciate that this is a place where women and children are safe, where we have to have campaigns like “low crime doesn’t mean no crime” while our friends elsewhere worry about their lives each time they walk out of their front doors. I appreciate that in times when whole countries could go bankrupt, it was the prudence of the government that he built that saw us smooth-sail it through those storms and emerge unscathed. Mr Lee has led a long and fulfilling life. I think it has been a tiring one, when there was a period that a whole nation depended on you. Imagine, being the breadwinner of a small family is already tiring, let alone being the father figure steering and spurring a whole nation. He could have used that brain and that leadership elsewhere, make big bucks lead a life of comfort, but he chose to dedicate his life to building this country, and working for a different bottom line. I wonder, if at the end, when he breathed his last, Singapore’s future continued to be on his mind, or maybe he was just glad to finally rest and be reunited with Mrs Lee. Death is such a painful finality. Singapore will have to learn to stride on without Mr Lee, because the pragmatic side of him would have said to do so. Our hearts are with PM Lee. He lost his father and his mentor. As times change, so do policies. What he chose, he chose what he thought was best at that point in time. He left us a lasting legacy, a nation we call home and proud of it. Hopefully, we will learn to look at ourselves again as one people, one nation, one Singapore and give up on the complaining, nitpicking and armchair critiquing. In death, the nation comes together again as one united people. Thank You, Mr Lee, for the lifetime of work building our home, a safe haven, where I could dream big dreams and reach for the stars. A safe haven where I can start my own family, and safely bring up my child. A place where she is allowed to grow up with dreams that can be fulfilled and potentials that can be realised. This is Singapore, the place our grandparents and parents built together with you, because you believed and you led by example. Thank you. I’m starting to earn quite a rep among my mummy friends (and I’m not sure it’s a good thing really), for having this obsession with babywearing. 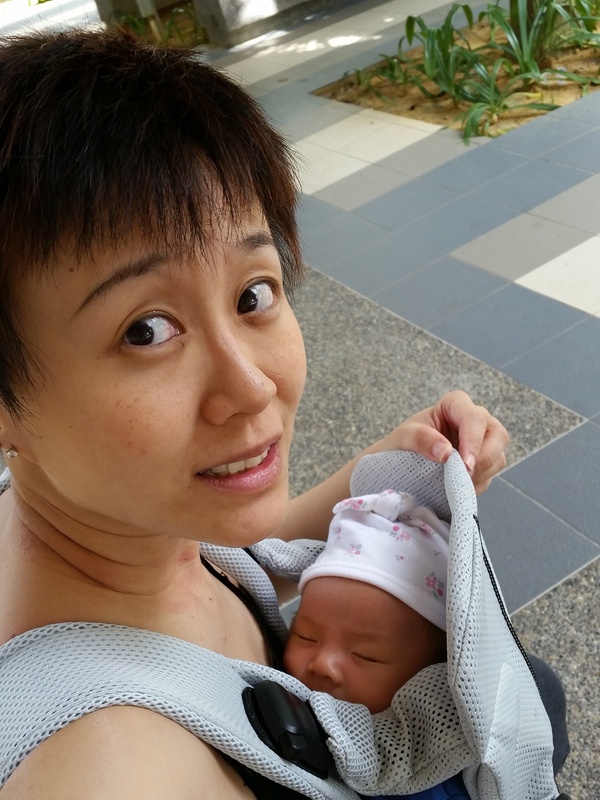 Overall, of all the different modes of babywearing, my personal preference is to use a carrier. 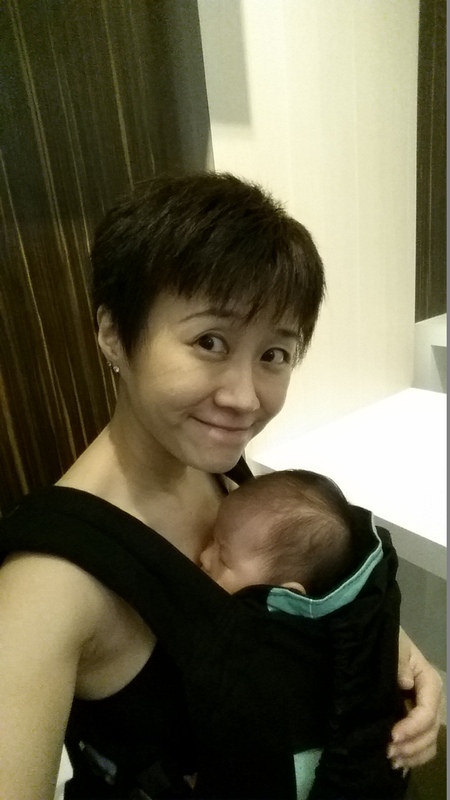 (Babywearers refer to them as soft-structured carriers (SSCs)). Since I’ve had quite a few people ask me how I felt about them, I thought it’d be nice to pen my thoughts down, especially as each mode of carrying and each wrap and carrier added their own little fond memories to my memory bank of Little Foot’s journey. My babywearing stash started humbly with the purchase of a second-hand The Birth Shop ring sling. 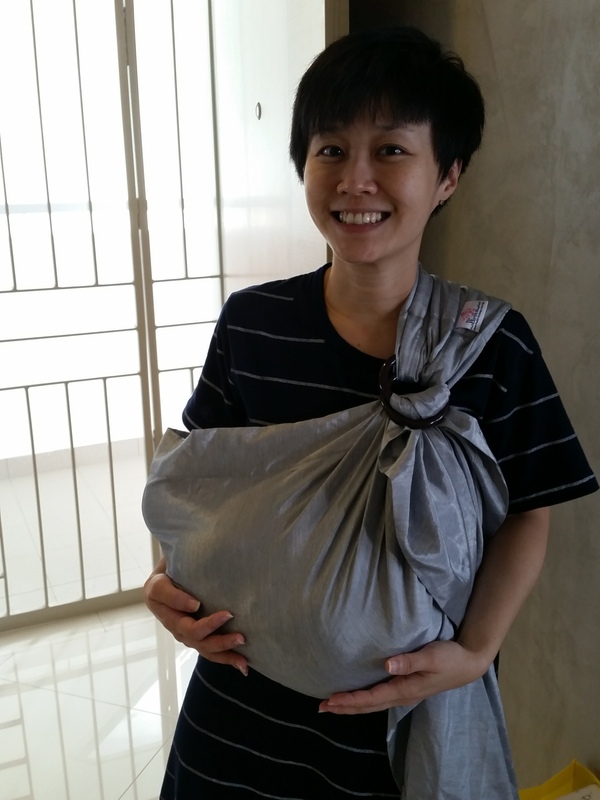 I was intending to buy a nursing pillow from this mama, but since she had a $10 good deal on the ring sling, I got it too, with the encouragement of my supermummy sister (she’s a mother of three). 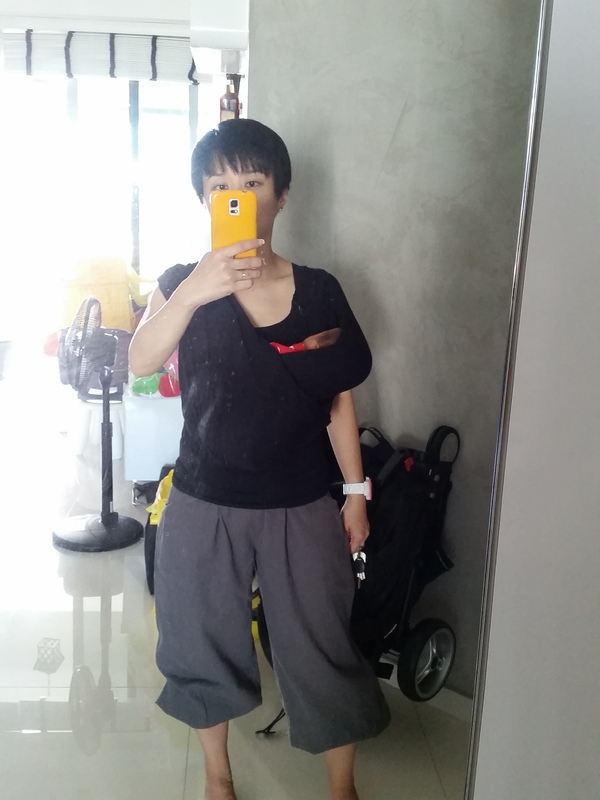 This ring sling, I only ever tried twice, and like many amateurs, I cradle carried Little Foot in it (a big no no according to the babywearing police). I didn’t use it again after one outing in it, since both Little Foot and I were not really comfortable. A ring sling works for many and is supposed to be fast in, fast out for the baby, but it didn’t work for me because I have a lower back issue and still recovering slowly from the epidural. Worse, I kept thinking she was going to fall out, and spent most of the time cradling her with the ring sling in my arms. I might as well have removed the cloth. Here’s me trying the ring sling while in confinement. Then, I was not aware that cradle carry posed certain dangers to babies. As we inched towards third trimester, I remembered a church friend always carrying her little one so snugly while she attended Sunday Mass, and I wanted that kind of closeness with my baby girl. So I did a little bit of research online and came across the Baby K’tan Carrier. I wanted to wrap, but did not want the complications of wrapping (Ok, I’m lazy). The K’tan was the answer. With luck, the only online store (Nursing Muslimah) that brought this into Singapore from US was taking pre-orders and it arrived just before Little Foot was born. The K’tan became a very special piece to me. I still remember that warm and fuzzy feeling I had when I first used it to carry Little Foot to the polyclinic for her jaundice tests. She was a few days old, and looked so adorable wearing the matching little hat, mittens, and romper from Carters. Thinking of that moment still brings a lump to my throat. She was so small, and I wanted to protect her from the world. The K’tan helped me do that. It was like she was back in my tummy again as she snuggled against my chest. 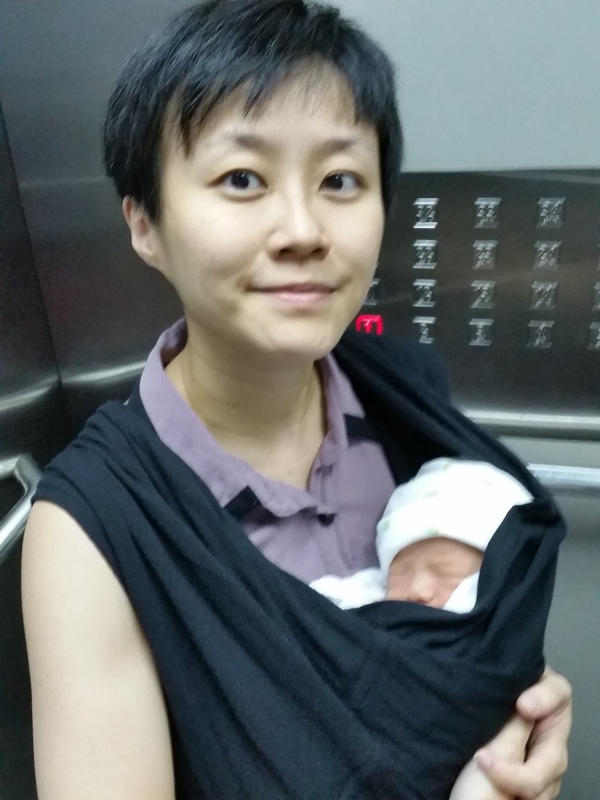 Carrying fragile little baby to the Polyclinic in the K’tan. She was only a few days old. So far, I have tried two different ways of carrying Little Foot in it. It is our special piece, and comes with a lot of sleepy dust for her during her early days. I like that it is designed to be sort of a idiot proof version of a wrap and is poppable. I can take baby in and out easily, and there isn’t a lot of cloth to deal with while we’re out. I also like that the material is so soft and airy (I got the K’tan Breeze). I like how discreet and understated the K’tan is. At one glance, it looked like a normal blouse I would wear. We bought the Baby Bjorn One from Amazon during Black Friday sale also before I delivered. At my insistence, Long purchased it, and he is now an ardent fan of it. He calls it “his carrier”, which means he uses it exclusively while he tries very hard to reject my offers to wear the other carriers which I use. I used it twice, and my verdict it that it was designed for bigger and taller folks, hence the men love it. It carries too low for me and is too loose, even when tightened all the way. While this version of the Bjorn has ironed out the issue of the earlier version with narrow seat which babywearers and doctors claim can can cause hip dysplasia, this one continued to allow front-facing (again I hear growls from the babywearing police). Infants are not meant to front-face as it strains the baby’s spine which is in a C shape prior to them learning how to sit up, stand and walk, which they then start developing the S shape. I have no issue with Long using it, but I have warned him not to attempt to front-face our baby. Not yet. He can try it when she’s a toddler. Plus point of this carrier is the mesh material, which is lightweight and airy. It’s also relatively easy to wear and put baby in. Long especially loves the colour. Silver, which we decided to get instead of the boring black. One of the two times I wore the Bjorn One. Somewhere in my stash is also an Ergobaby Original, which is a handmedown from my supermummy sister. Unfortunately, at 3 mth old, we have not been able to get into it successfully. Without an infant insert, which will be too much to bear for our sweaty baby, I tried the towel insert, which is a hack that YouTube taught. After two attempts, each with loud, angry crying from Little Foot, we gave up. So I have no verdict on the Ergo, but IMHO, I feel mummies should not try that towel hack. I noted the panel’s quite big, which means your baby could shift around in the carrier and there’s lack of support for the spine. Remember the baby’s spine is still very fragile, and I prefer zero risks when it comes to my only child. So I’m returning it without trying it. 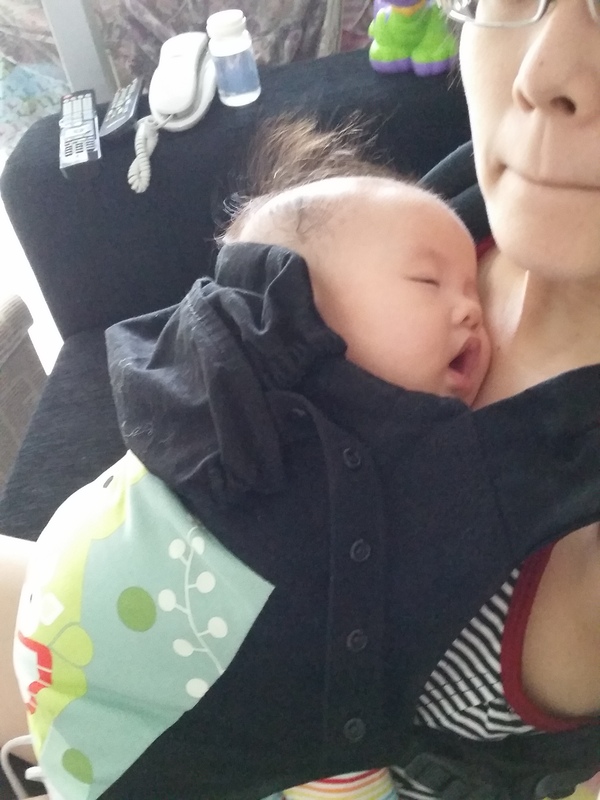 With an emergency visit to Baby Slings and Carriers prior to our helper going on urgent home leave, I got the Boba 4G carrier and the Je’ porte Mon Bebe stretchy wrap. At this stage, Little Foot was in her colicky stage and I needed something for my sanity while I cared for her alone (bearing in mind my bad back). 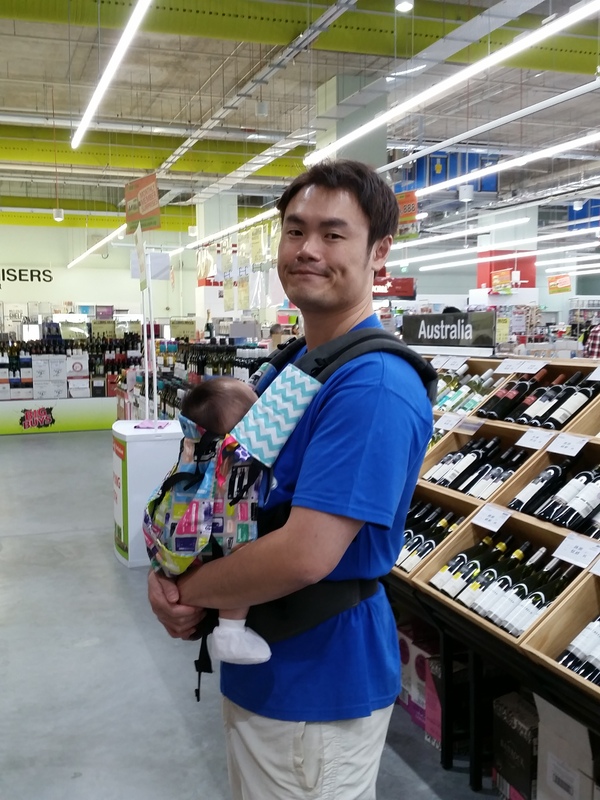 I tried the Manduca and the Cat Bird Baby there, but Little Foot didn’t cry in the Boba 4G carrier so I got that. It came highly recommended by another Dec mummy, and she sure was right. This became the next sleepy dust carrier for Little Foot after the K’tan. I remember that one evening she refused to nap, refused to lay down, I put her into the carrier and we took a walk downstairs. We even sat on the swing at the nearby playground. 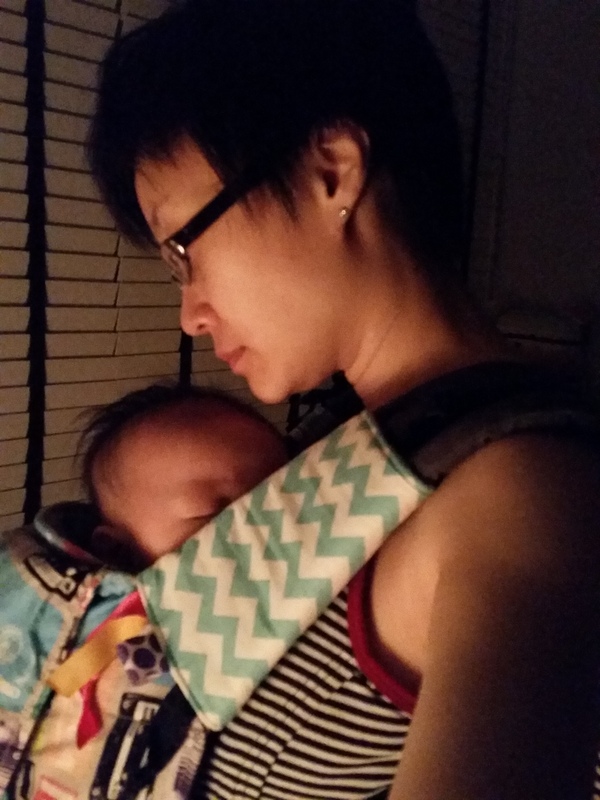 I was an emotional wreck that evening with a baby who didn’t want to sleep… so there, me with baby in carrier and Long on the other swing, I managed to voice out my frustrations, my worries, and let off steam. And she slept soundly. It brought a lot of relief to me, and I loved how she would peep out from under the hood whenever I used it to shield her from the sun and the winds. I also like the neat little pocket at the waist band, that I could put an atm card and a few dollar notes in it. It was the carrier that I used that week of no help, so I could go get my lunch at the coffeeshop / market. And it was the only carrier which I could extract Little Foot without waking her up (upside-down turtle style). 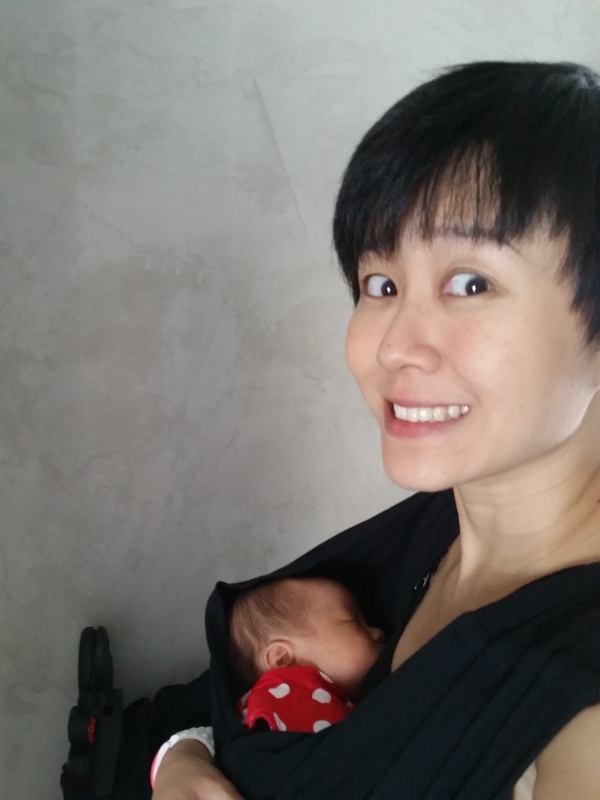 Lotsa happy sleepy moments with the Boba 4G… I always felt it saved my sanity at the peak of the colic attacks. As I was reading about Tulas and other more atas carriers than those you usually see at baby fairs and Mothercare, I chanced upon some forum thread mentioning the Kinderpack (KP) being the solution for those who wanted something even better than the Tula (in my mind I was like if the Tula was like the Prada of SSCs, then what would this be??). When I wanted to buy it I was stumped. Why is it not sold anywhere? It took weeks of reading after joining the Kinderpack Chatter and BST Facebook group, to learn quickly that the demand greatly outweighed the supply for good reason. There was so much rave reviews about it, the prints were so good looking, and Kindercarry only had four people sewing these. I was sucked into it. I had to get my hands on one. I tried getting one on stocking days (failed in four attempts so far, overslept for some of the stocking days). I PMed several sellers who listed FSOs or FSOTs without success, when those I wanted in the right size (infant/standard) were listed, they were either too expensive (going sometimes at more than double the retail value of $179USD), or they were gone in a flash. Finally I had some luck with one that was not sky-high price and in a print I loved. The lady in US got my PM within minutes of posting. And in the next hour, I had accepted her paypal invoice and paid for it. Then I waited and waited… just as I was about to resigned to the idea that Stinkpost or whoever was handling my priority first class airmail may have swallowed my beloved KP, my mailbox was stuffed with a fat parcel so full I had problems pulling it out of my letter box. It was love! 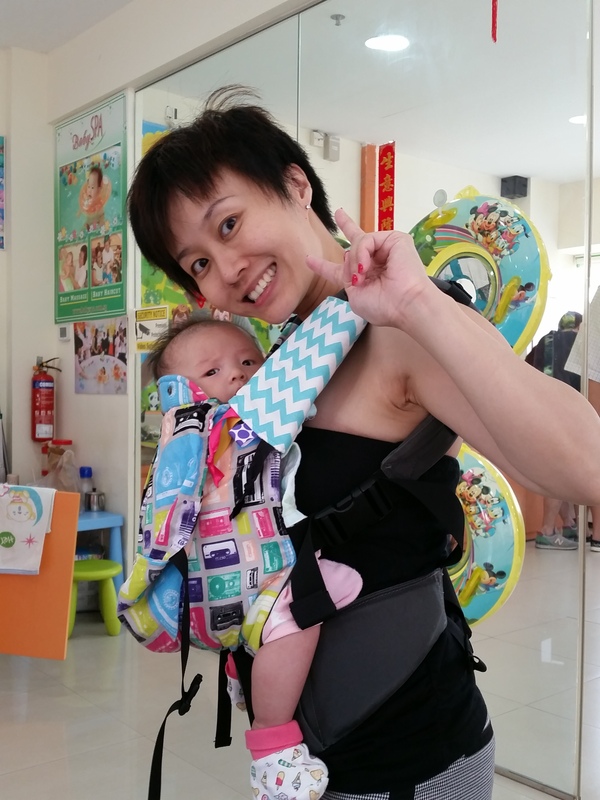 Little Foot loved being carried in this, to the point she has since frowned on the Boba (her legs are currently too long to “squat” position in the Boba, but too short to dangle out comfortably for the M shape). And she looked so cute in it, we had a lot of “Aww…she so small…she so cute!” at Sentosa during our staycation. As many KP fans testified, it was the carrier I can carry her for hours without feeling like my back was numb or going to break into two. No shoulder aches either. The only downside is that there’s no pocket for money or cards. So I carried a small sling with it. Today, we still continue to use this when we go out… and I convinced Long to try it last week too. I’m so in love with the prints and the comfort that I’ve just landed another one in standard/standard of the bst page, just coz it’s in a print that I super love. Looking forward to seeing my mailbox stuffed again. I actually have a Tula (in cute rockets design!) that I bought on impulse. It happened the first time I failed to score a KP, and I was like, “Ok, Tula’s got that print, I’ll just get that. Take that Kindercarry!”. People don’t really think very straight at 2.30am especially after being chronically lack of sleep for a couple of months. It’s still hidden in my wardrobe. I will give a verdict on it when Little Foot becomes big enough to fit in it. It requires an infant insert for younger babies, and nope, not going to try that in this weather. The husband is going to choke when he sees it. 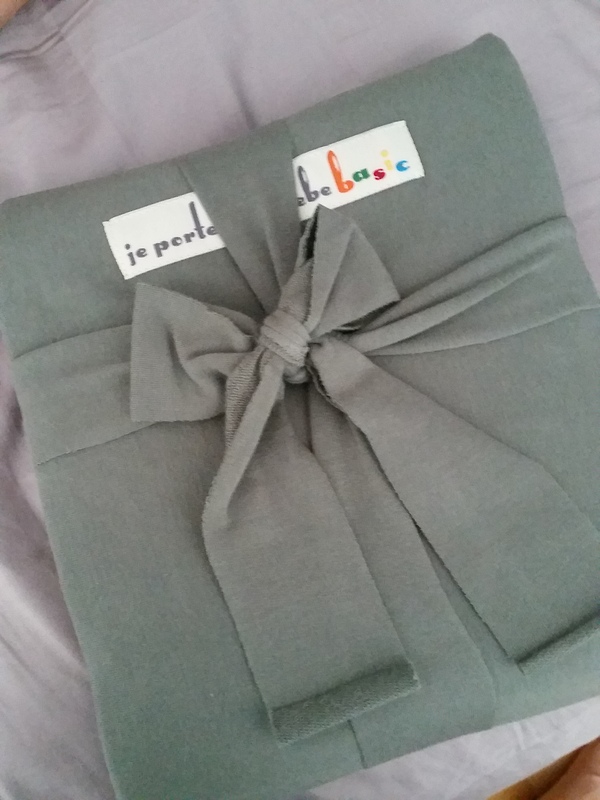 The Je’ porte Mon Bebe Stretchy Wrap, was an accidental find. 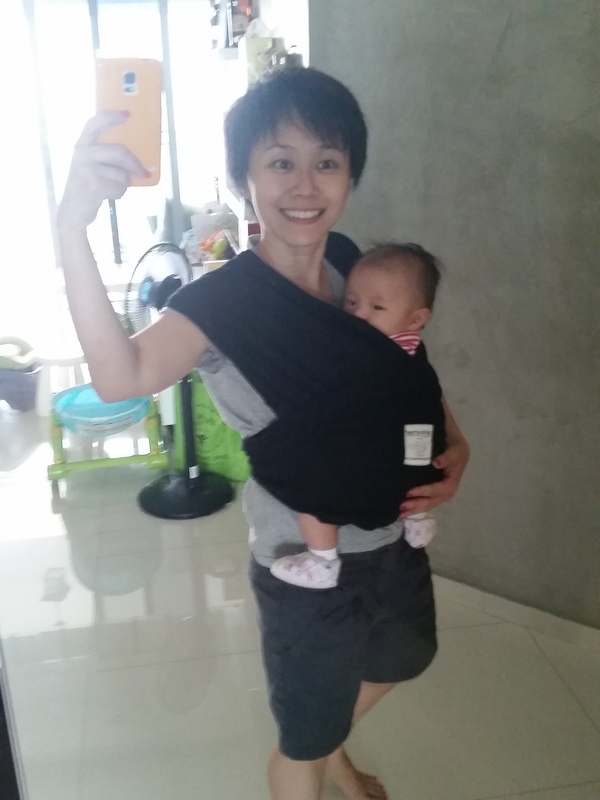 The salesguy at Baby Slings and Carriers offered to let me try it although I had already tried 3 SSCs, and it was so bouncy and comfy, and much easier to wrap then I expected. So I got it. Had some successful and some not-so-successful wrapping sessions with this one. That week of no help, I used it to carry her to KKH for her physio session. She hardly made a fuss and slept in it after the physio. I like that it was poppable. I could pull her out and put her back without retying. That was the occasion she slept while I had dinner with my mum and I dropped teriyaki sauce on her head (oops!). There were evenings that I tried wrapping her in it while she was fussing, and failed. One of the downsides of this wrap is the material. in order to hold the weight and stretch, it was thick, and hence little too hot for comfort. Everytime after use, both of us would have out tees soaked through. And it can only hold up to 14kg, so the lifespan would be shorter than woven wraps and most SSCs. After trying the stretchy wrap, I became more open to the idea of wrapping. 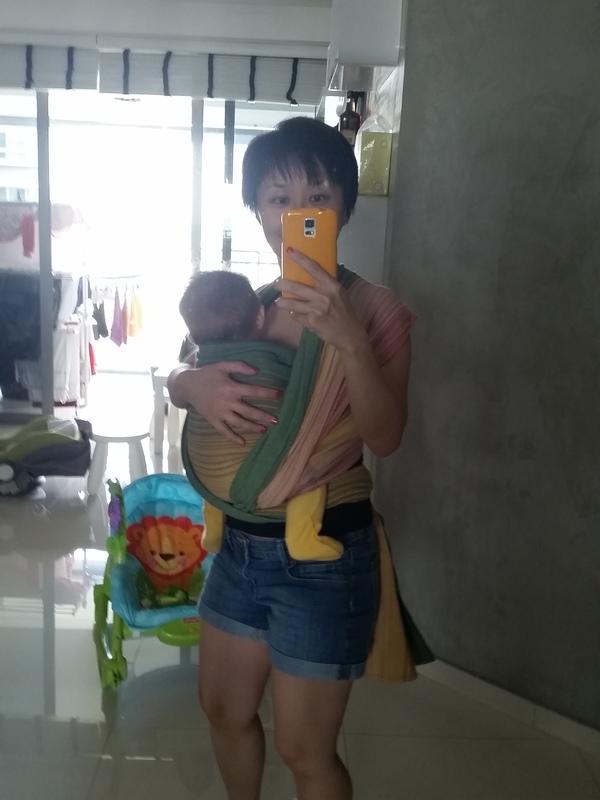 The amount of beautiful (and some seriously expensive) woven wraps on Babywearing Singapore and it’s sister Swap and Library Facebook pages were constantly tempting me to try wrapping out. So I did. 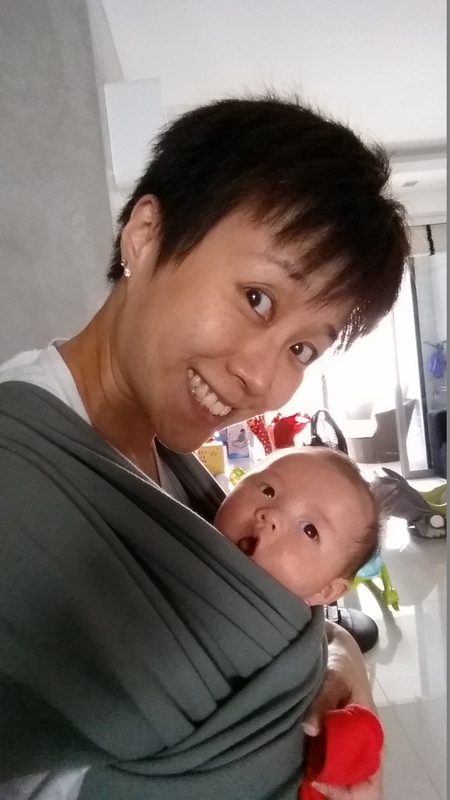 In one week, I bought 3 woven wraps, all preloved in excellent condition from very friendly mamas on the SG Babywearing Swap & Library (enter at your own risk!). Vatanai Unalaska Sz 4 – This attracted me with its whales and reminded me of the sun, sand and sea I loved so much and missed dearly. Cloth of Kin ‘Happy’ Sz 5 – I read a little about handwoven wraps, awesome but exorbitant. So when this was posted at a good price, I jumped. This was the only cloth I bought in my base size (Size 5), and I used when I took a consultation session on wrapping with Nurjanna from Jars of Fluff (had a great consultation session with her, and learned Front Wrap Cross Carry (FWCC) and Ring Slinging from her). Didymos Indio Aurora Sz 4 – I fell in love with the colours of this cloth when I first saw it online. Took awhile stalking “for sale” posts before I finally got this one. I do wish it was a Size 5 though. For the love of our babies, we babywear. We want to have that skin-to-skin and a lot of contact with them. It helps them emotionally, it supposedly helps colicky babies too. My search for a carrier stemmed first from the desire and promise to be close to my Little Foot when she arrived in this world. Later on, it evolved into our quest for a way to soothe her and get her to sleep as she started having colic and reflux, and absolutely refused to be put down for long hours. 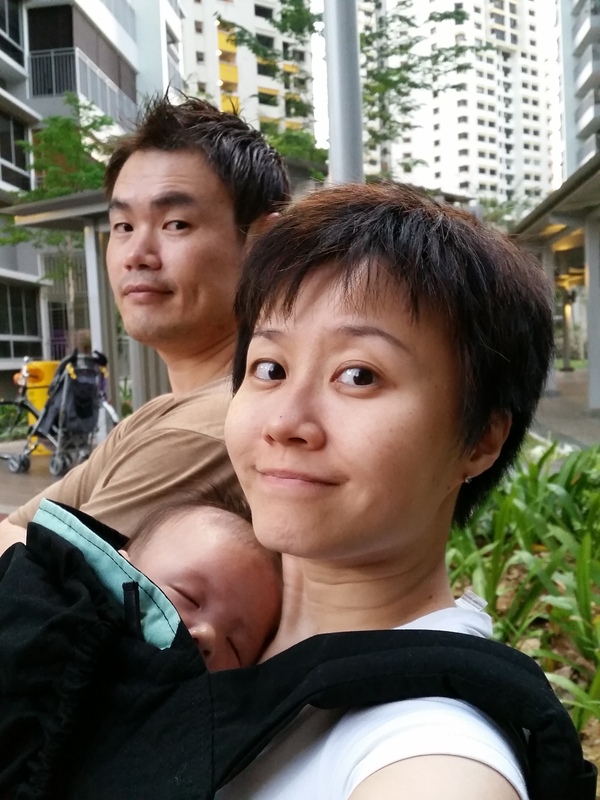 My back was hurting, my arms were aching and babywearing was a solution for me. When I tried carriers at the brick & mortar shops, if she wailed even after I had walked around for awhile, I put that carrier back. If she couldn’t settle down in it, it’s not suitable for us, even if it didn’t hurt my back, or even if it came with a hefty price tag. The only risk I took was the KP, and luckily that paid off. As for wrapping, I am still in two minds about it. Lazy I am, and Little Foot has no patience most days. I don’t get much encouragement whenever I attempt to do FWCC. It just looked so troublesome to the people around me. We’ll probably give it a few more tries, but deep down, I’m quite happy to stick to the SSCs. It would saves me spending hundreds of dollars on cloths (which I still can’t quite accept). 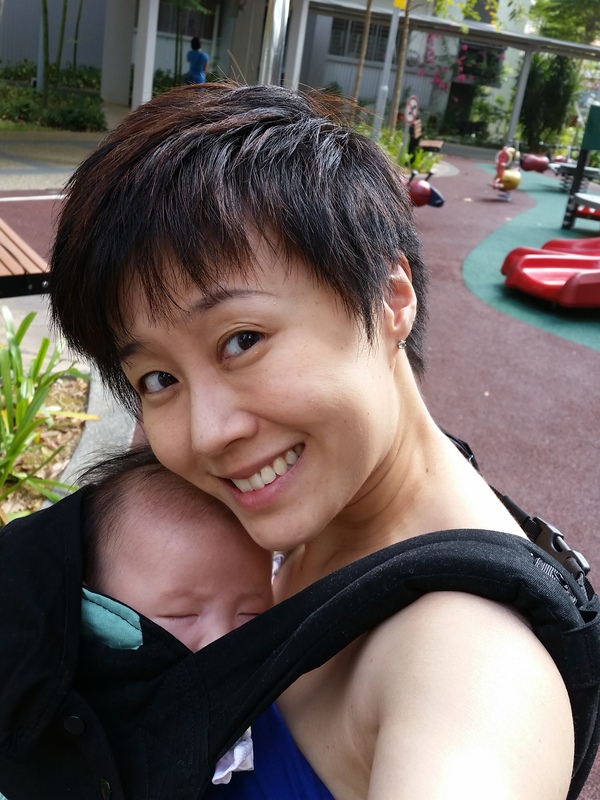 Babywearing is really a very personal decision, and what suits you may not suit me, and vice versa. All that matters is having a happy and safe baby while providing some sanity to mummy and daddy. Of course, some, like Long will feel that having one carrier will do, but he’s the guy with only 1 pair of working shoes (and 1 spare for rainy days), while I’m the one with the floor-to-ceiling, wall-to-wall cabinet of shoes. I guess I’m prone to excesses when it comes to some things. This babywearing period won’t last forever, and I’m going to just enjoy every chance I get. Afternote: I have another Kinderpack, one Kokadi Flip carrier, two more Tula carriers, one Lenny Lamb carrier and a Kokadi wrap enroute from various parts of the world to my mailbox. Now, which of my Ferragamo shoes to sell, or should I sell a bag or two, to fund this obsession?